Here's a very simple theme I made that changes the WI icon to a retina image WI icon. Just download the Retina WI Icon.zip attachment and un zip it. 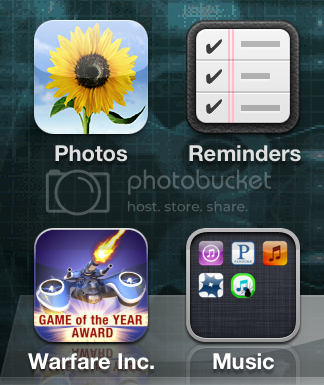 Take the folder inside called Retina WI Icon.theme and put it in your theme folder. Apply the theme and you have a retina WI Icon! Posted: Tue Jul 30, 2013 5:03 pm Post subject: Non-jailbroken retina icon? Wow N1, this looks really cool. I'm not sure how this was made, but do you think you could post a PNG of the retina image for us non-jailbroken users to post in our WI folder? Posted: Tue Jul 30, 2013 5:50 pm Post subject: Re: Non-jailbroken retina icon? I made it by modifying the iTunesArtwork a little. Yes, I can and will (as soon as my internet is fast enough to upload photos) post it here. I'm not sure yet how you will be able to use it as the WI icon on a non jailbroken device. Apple has tightened up on their security so I don't think you can edit the WI.app to get the retina icon in and even if you got it in, it would recognize it as a foreign object. I tried building a WI.ipa with the retina icon but iTunes won't accept it.